Fraunhofer FOKUS, based in Berlin, Germany, develops solutions for the communication infrastructure of the future. The institute addresses important challenges in the society and the Smart Cities of the future, including access to information, economic and sustainable use of resources, smart mobility and a modern governmental administration. Besides technical infrastructures, Fraunhofer FOKUS creates manifold practical concepts, applications and prototypes, being specialised in developing multi-domain networks and interoperable, user-centric solutions. Fortiss is an independent non-profit research and transfer institute, closely associated with the Technische Universität München (TUM), collaborating in research, development and transfer projects with universities and technology companies, both on national and European level. Fortiss’ mandate is to facilitate research and technology transfer in software-intensive systems and services, thereby triggering future-ready innovation. VTT Technical Research Centre of Finland Ltd is one of the leading research and technology organisations in Europe. Our research and innovation services give our partners, both private and public, all over the world a competitive edge. VTT is an RTO whose activities are focused on three areas: Knowledge intensive products and services, Smart industry and energy systems, and Solutions for natural resources and environment. VTT is impact-driven and takes advantage from its wide multitechnological knowledge base to strengthen Finnish and European industrial competitiveness. VTT can combine different technologies, produce information, upgrade technology knowledge, and create business intelligence and value added for its stakeholders. VTT's unique R&D infrastructure enables the development chain from basic research and process development up to prototyping and pilot manufacturing. The Technical University of Kosice (TUKE) in the project is represented by its Competency Centre for Knowledge Technologies Aimed at Innovation of Production Systems in Industries and Services (CC/TUKE), which is the autonomous organizational unit of University Science Park TECHNICOM at the TUKE (USP TECHNICOM) and provides active ICT based R&D&I collaboration of academia with SMEs or mid-caps companies, including intensive Business Acceleration Programme. CC/TUKE as a unit of USP TECHNICOM has direct access to multiple research laboratories and facilities as a part of the USPs’ platform for R&D, which in essence provides access to the appropriate laboratories and workplaces of the TUKE and its research and academic partners and contractual companies, including those from the university incubator. Access to advanced laboratories for GIS or medical ICT applications ensured by a corresponding USPs’ partner institutions is as well available. Cefriel creates and rethinks products, services, and processes enhancing and developing digital technologies. A multidisciplinary, authoritative and passionate team of over 130 people with a mix of technical, business and design skills. Founded in 1988 by Politecnico di Milano, Cefriel is today a center of excellence for digital innovation that includes as shareholders three other universities, the Lombardy Region and 18 multinational companies. Cefriel is a not for profit consortium company where the real dividend is the impact on the economy, on society and the territory, and the creation and promotion of new professional skills and competencies. LTU as a competence center is executed under ProcessIT a centre of excellence at the university. LTU - ProcessIT has an extensive network with regional production industry, ranging from mining, steel, paper pulp, forestry, automotive, etc. To these large end users of automation technology a wide range of automation suppliers are connected from big suppliers like ABB down to small specialised technology SME’s. In total more than 100 regional companies are in the ProcessIT network. LTU - ProcessIT further has an extensive industrial and academic network in Europe mostly thanks the participation in several large and very large EU project addressing IoT and SoS automation, e.g. Arrowhead, Productive4.0, Arrowhead Tools, INC-AESOP, Socrates, FAR-EDGE, MIDIH. Logistics consulting by specialists: Fraunhofer Institute for Material Flow and Logistics advises companies of all industries and sizes in all questions about material flow and logistics. For our customers we offer widespread services: As consultants we support in fulfilling new tasks and meeting requirements, as researchers we work out new solutions together with our customers, as planners we help to optimize the internal and external logistics and as developers we realize solutions in soft- and hardware. In the process, Fraunhofer IML focuses on company-specific, made-to-measure solutions and accompanies its customers from planning to implementation. IBCh PAS Poznan Supercomputing and Networking Center is affiliated to the Institute of Bioorganic Chemistry of the Polish Academy of Sciences. PSNC is the major Polish academic HPC centre and broadband network services provider (NREN for Poland) as well as application and services developer and provider. PSNC runs an R&D Centre of Future Internet, e-Infrastructure, Digital Content and Portals. POLIMI (Politecnico of Milano), Department of Economics, Management and Industrial Engineering (DIG) has specific competences in the fields of Manufacturing Strategy, ICT for Manufacturing, Social and Environmental Sustainability in Manufacturing, Product and Service Development, Manufacturing Systems Design, Production and Maintenance Management, Education in Manufacturing in which it can be considered the leader among the Italian Universities and Research Centres. The Innovalia Association is a private and independent technological centre whose primary objective is to foster technological innovation in small and medium companies. IMR (Irish Manufacturing Research Ltd.) is an independent Manufacturing and Industrial Energy Efficiency Research & Technology Organisation (RTO) focused on delivering solutions to manufacturing. The Research centre focused on advanced manufacturing solutions for both SME and indigenous export companies and for multinational corporations based throughout the Ireland. It is a cross-sector Research Organisation with current partner companies in Semiconductors, ICT, Pharmaceuticals, Medical Devices, Food, Energy Services, Aerospace and other sectors. Active relationships are also in place with a large cohort of the Universities in the Republic of Ireland and Northern Ireland, several Institutes of Technology as well as several well-reputed overseas universities. The Scottish RMDIH is led by the Advanced Forming Research Centre at the University of Strathclyde in partnership with Scotland’s economic development agency, Scottish Enterprise, and Scotland’s Innovation Centre for Sensor and Imaging Systems, CENSIS. Established in 2009, the AFRC offers a range of services to business and industry from a state-of-the-art facility adjacent to Glasgow International Airport. It is one of seven technology and innovation centres which together make up the UK High Value Manufacturing Catapult and is the only HVMC centre located in Scotland, creating a globally recognised centre of excellence in metal forming research, manufacturing technologies and innovation. The Centre employs over 140 researchers, chartered and incorporated engineers, technicians, EngD and PhD students, all supported by commercially astute business development and programme management teams. The FIWARE Foundation is the legal independent body providing shared resources to help achieving the FIWARE mission by promoting, augmenting, protecting, and validating the FIWARE technologies as well as the activities of the FIWARE community, empowering its members, including end users, developers, and stakeholders, for the benefit of the public and the entire ecosystem. International Data Spaces e.V., located in Berlin, is a non-profit user association. The main goal of the association is to identify, analyze and evaluate user requirements to be met by the International Data Spaces. Furthermore, International Data Spaces e.V. contributes to the standardization of the project results and conducts public relation and communication activities. IDSA supports “the secure exchange and simple linking of data in business ecosystems on the basis of standards and by using collaborative governance models”, and is hereby taking important steps towards achieving digitally networked industry. 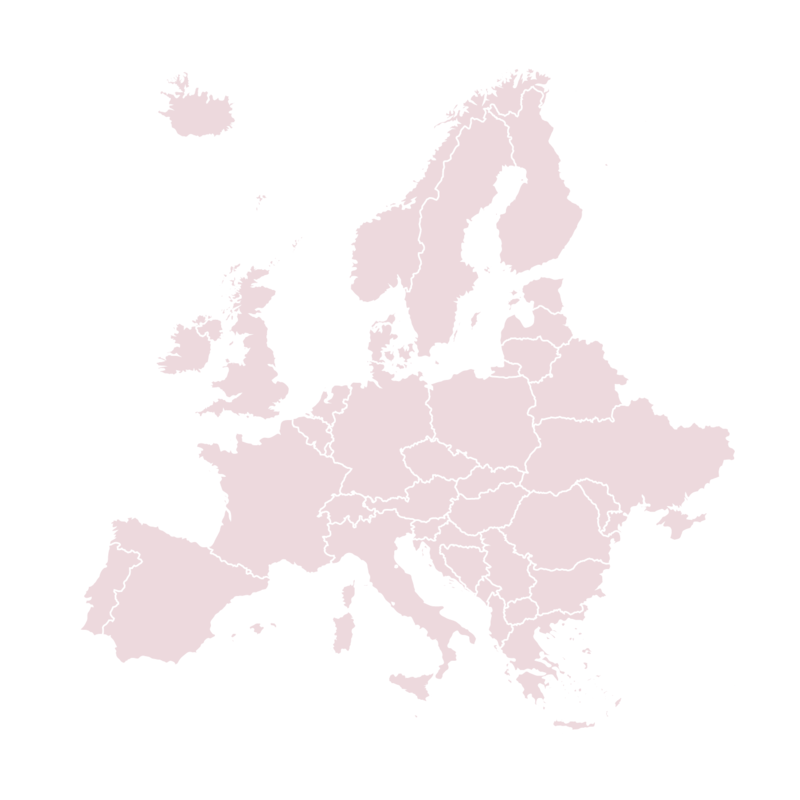 The MIDIH nine Competence Centres cover several regions in EU, including Northern and Eastern EU, but are providing their services on a pan-EU basis, being specialized in specific branches of the CPS/IOT enabling technologies. The 2 Teaching Factories are open environments where to perform testing and experiments of new applications focusing on ICT innovation applied to CPS production systems. Digital Innovation Hubs are clusters that help companies to become more competitive with regard to their business/production processes, products or services using digital technologies. They are based upon technology infrastructure (competence centre) and provide access to the latest knowledge, expertise, market and technology at Regional Level (Regional DIHs) or at cross-border level (Pan-European DIHs).